At one time in America it was an acceptable and common practice for dogs to be tethered outside the house, left unattended for hours at a time. Some family dogs, regarded solely as denizens of the backyard, rarely got a glimpse at the inside of their masters’ homes. Will Judy understood that tethering was a long-held customary societal behavior and that dog owners often resorted to it out of necessity. 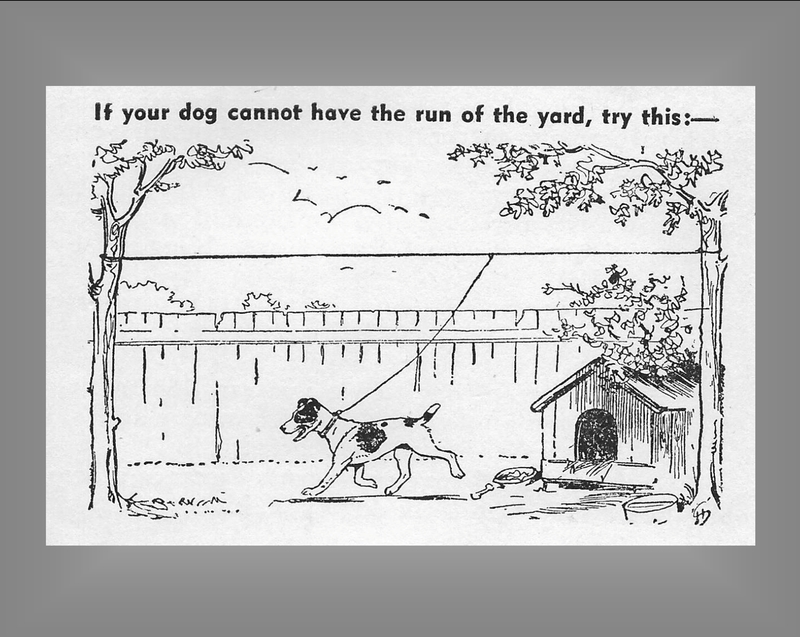 He even addressed this unsavory habit in one of his many books by presenting a drawing of a dog tied to a line attached to a pulley system that enabled it to move about the yard in a restrained but more humane manner. Fig. 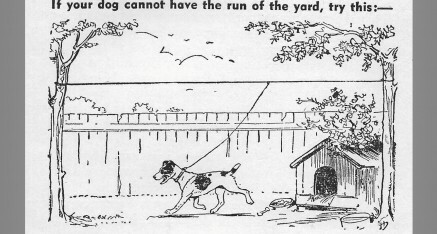 2 – Illustration from Will Judy’s book, Don’t Call a Man a Dog, 1949. 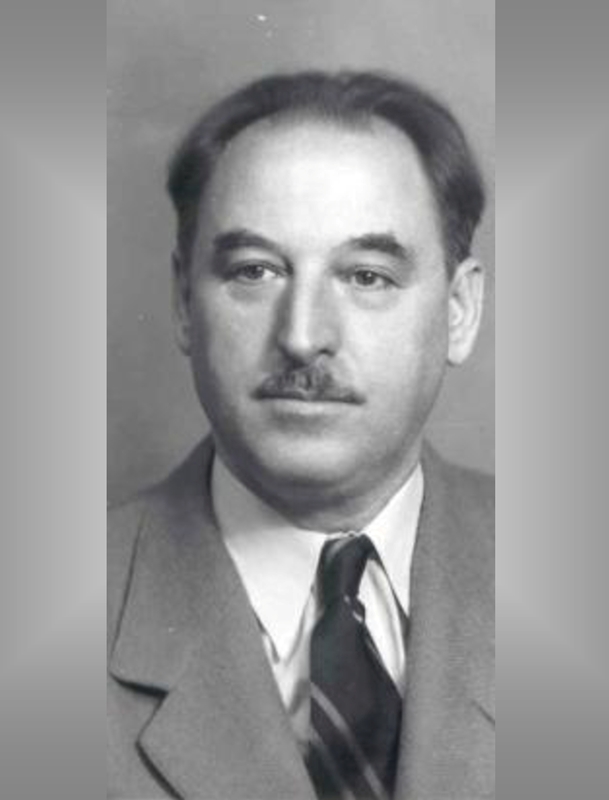 Judy was many things to many people in his lifetime, but his role as a social reformer, who used the power of the pen to make the world a better place for dogs, and their guardians in every conceivable way, may be his greatest legacy.